The Mezzanine Gallery Collection includes archival documents from the history of the gallery, and the Anna Leonowens Gallery. The Mezzanine Gallery was established in 1969 and its location was the annex overlooking the Anna Leonowens Gallery when the Gallery opened in its original location on Coburg Road in Halifax. The Mezzanine had a space that could be used for a variety of purposes (performance, installation, etc.) unlike the Anna Leonowens Galler﻿y which had an inflexible and public gallery space. 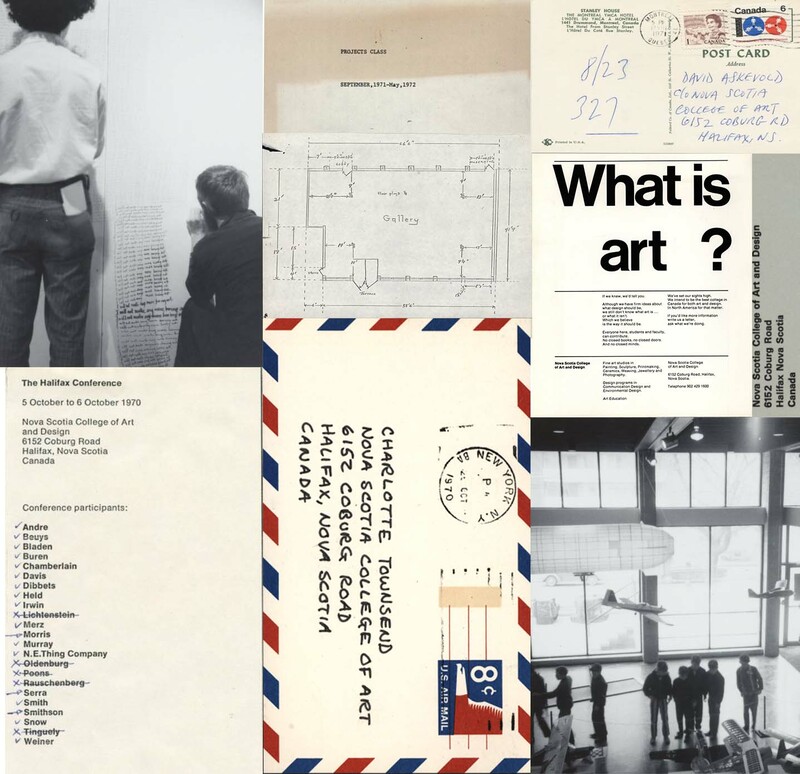 These materials date from the late 1960s to mid 1970s are about the events and activities of the Mezzanine Gallery and the Anna Leonowens Gallery. The collection also contains general records about the Projects Class and the Halifax Conference. The physical materials of this collection is housed within the Anna Leonowens Gallery. The archival material has been digitized over a number of years through numerous grants, students, and staff. All of the content within the Mezzanine Gallery Collection is searchable through the artist, date, location, and type of content (image or text).